A short & interesting history of Tennis racket. First made from solid wood, laminated wood, steel, then aluminium & now carbon composites, the evolution of tennis rackets happened in a long time span. Many innovations, changes in shape & designs also happened during this time frame. Nowadays rackets are made with light weight, durable materials like titanium and other carbon composites. Tennis: the best game for both aerobic and anaerobic fitness. Comparing to badminton, which demands high speed of movement, tennis need more stamina and power. It is a physically demanding sport. That is why many professional athletes play tennis for cross training. Playing tennis offers overall health benefits & entertainment. And whole family can participate. Age is not a restriction for this game as we can continue playing a lifetime. Tennis is the best game for both aerobic and anaerobic fitness. Burns more calories than cycling or aerobics. Improves leg strength, eye hand co ordination and flexibility. A good tennis player will eventually develop good hand eye coordination, stamina, power and timing. Most of the world famous tennis brands have presence in Indian market also. This includes rackets Head, Wilson, Babolat, yonex etc. Also Indian brands like Nivia and Cosco offers a handful of quality rackets that too in an affordable budget. Choosing a tennis racket, especially as a beginner is not an easy task. You have to consider few factors that decides the quality/nature/behaviour of racket, in terms of control, power and durability. Mainly you have to look for racket material, balance and weight. Also have a look at grip size and length. Commonly used materials are aluminium, steel and carbon composites like titanium, graphite etc. Make of material is an important thing because of 2 reasons. First is impact on racket weight and then durability. 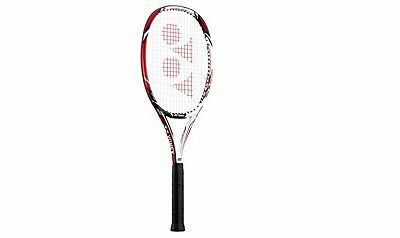 Based on your playing style, Power game, tweener or defensive control play, you can choose rackets that can take advantage of your playing style. Choose grip size based on your hand size, from grip size 1 to grip size 4. Stringing advise for specific models are given by top brands. Please search internet for more information about different stringing patterns and brand specific stringing advice. Four types of playing surface are clay courts, hard courts, grass courts and carpet courts. Each have its specific characteristics that affect playing style and game. “Baseliner players” battle from the baseline, “attackers” play aggressively and want a racket that controls their own power. “All courter” use their skills in different styles. Some brands like wilson categories their rackets solely based on playing style. This is a junior racket having 21 inch length and made with aluminium. This racket from Indian brand Nivia is good for kids who are starting with tennis. This full size racket from Cosco is also a good option for senior palyers who are starting this game. Made with aluminium material and having a length of 27 inch, this racket will be a best for recreational games. Colour – Black and orange , length – 27 inch with larger head size(XL) and sweet spot. Wilson match point XL, which features extra large head size, is a racket that can be used for competitive games. 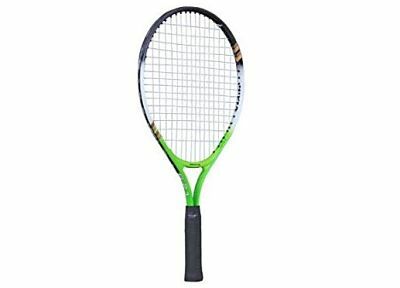 Made with light weight frame, this racket will give good swing speed. One of the best racket under 3000 from Head. Weighing 275 grams this is a super light racket available at a price range of 1850 to 3000 rupees. 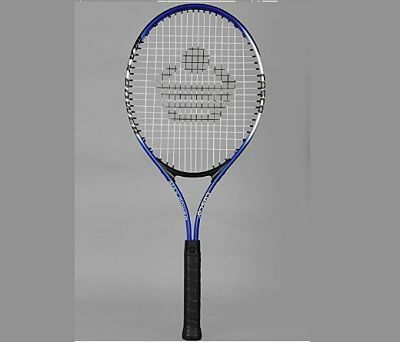 This racket is an ideal choice for any beginners who want to compete with professional players. This piece is made with carbon composites (graphite).